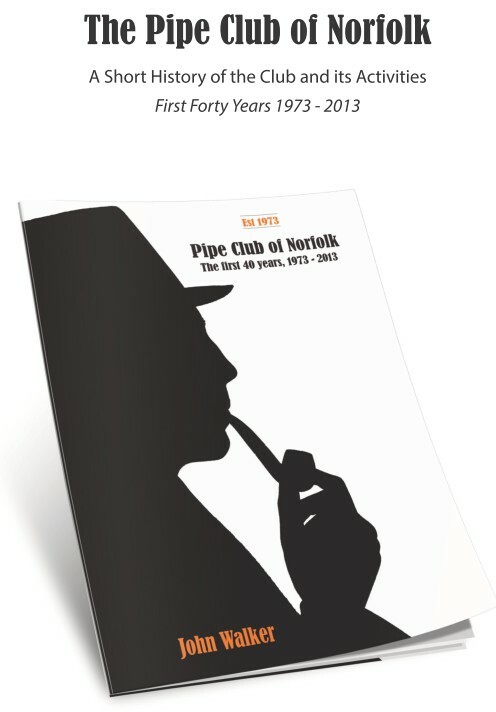 Just listening to Radio Norfolk's John Taylor programme (old records) - well what else would you do on a wet Easter (no answers please) and it was just announced that the winner of the contest to name Pearl Carr's husband was..........James Oxley-Brennan of Eton. 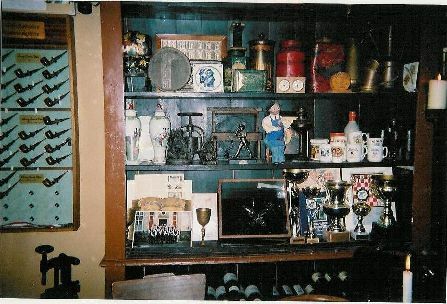 Worth a website and newsletter mention showing the versatility of our members? 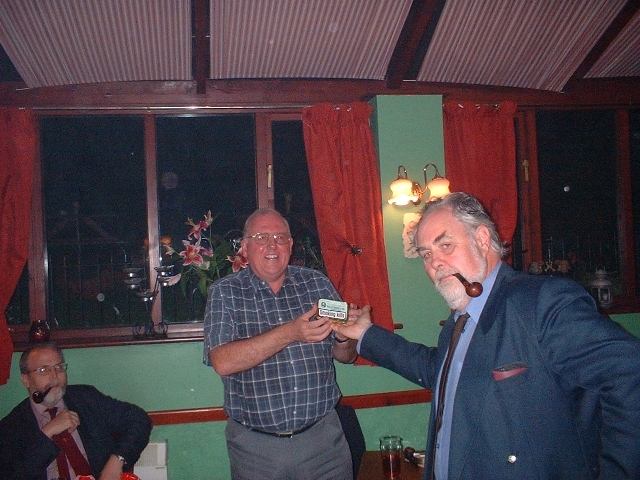 Colin Wylie (right), winner of the 2005 Clay competition, receives his prize of a Parker pipe from PCN chairman Len Ellis. 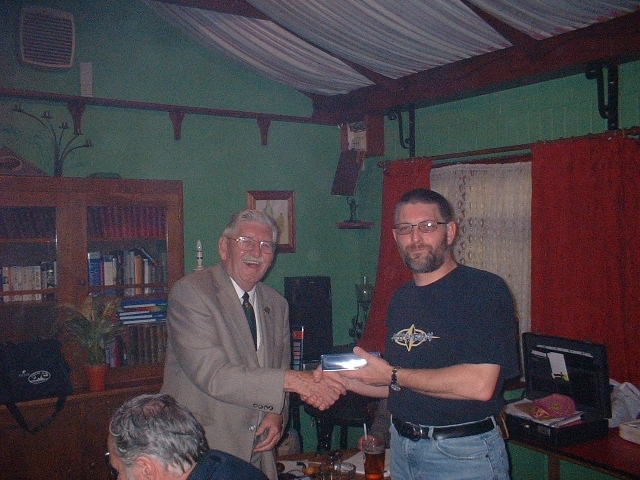 John Eason (left) receives his prize for winning the 2005 "Walker and Coleman Name That Tune" quiz from Keith Coleman. 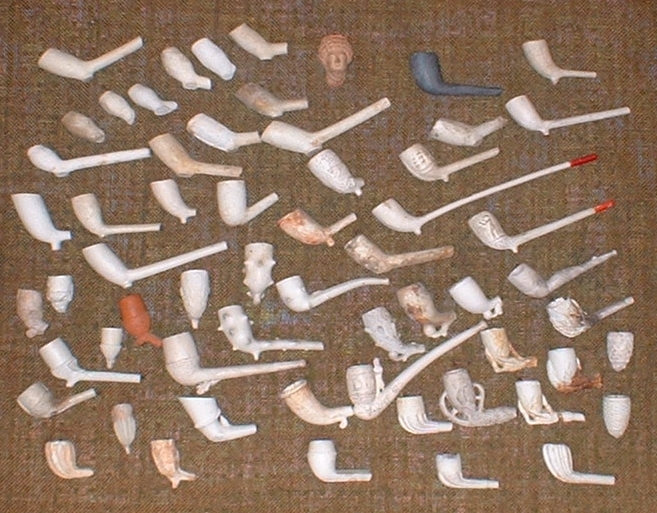 Richard Adamek displays his collection of antique clay pipes. 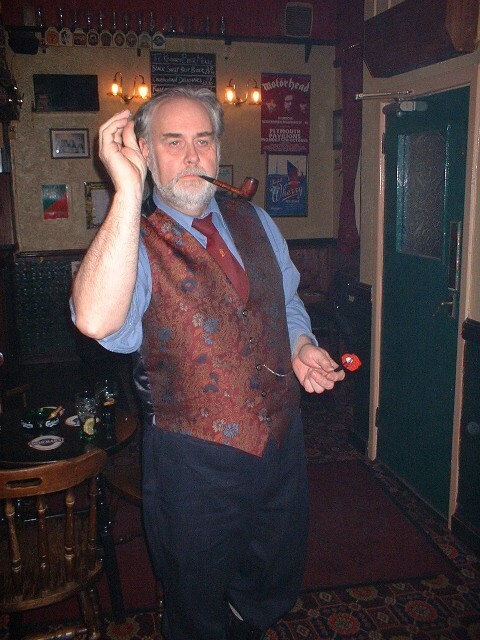 4 grams of Murray's Exmoor mixture were smoked in the contestant's own pipe. 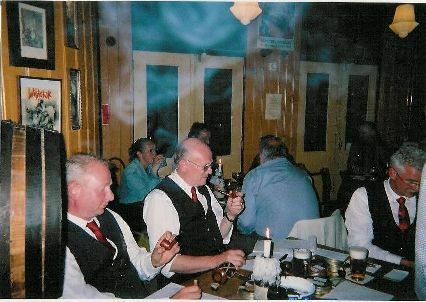 The winning time was 1 hour 4 minutes and the pipe used was a Peterson's Sherlock Holmes Rathbone. 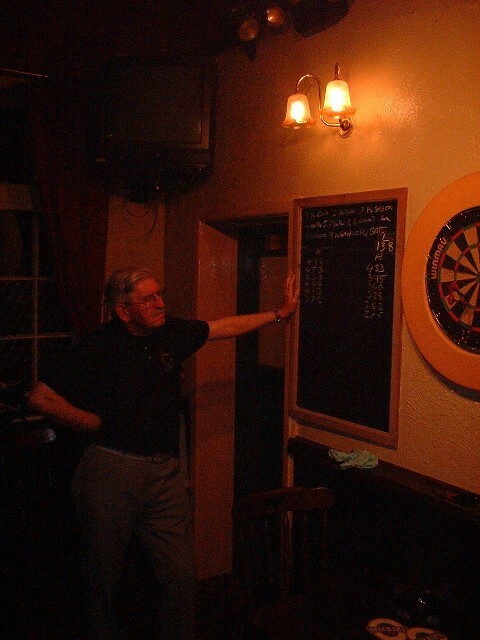 Chairman Len, the winner AND highest scorer, at the scoreboard. 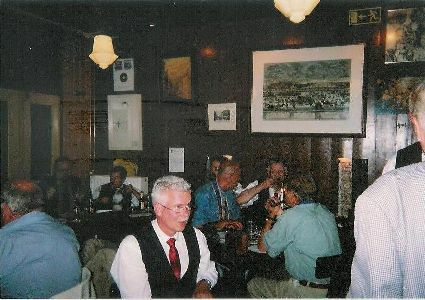 John Betts (blue shirt), Keith, Richard and John Elvin look in awe at Len's performance. 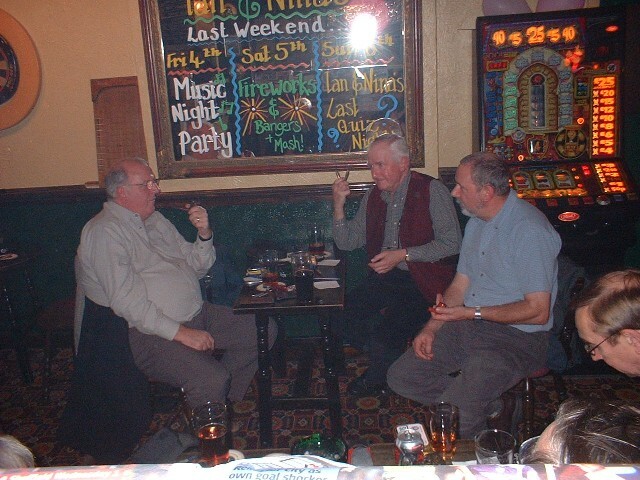 John Eason, Reg, John Betts discuss how to nobble Len. 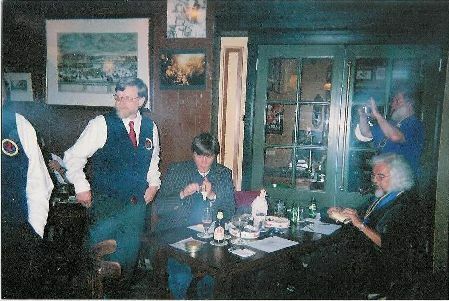 Frank King tries to smoke a carrot. 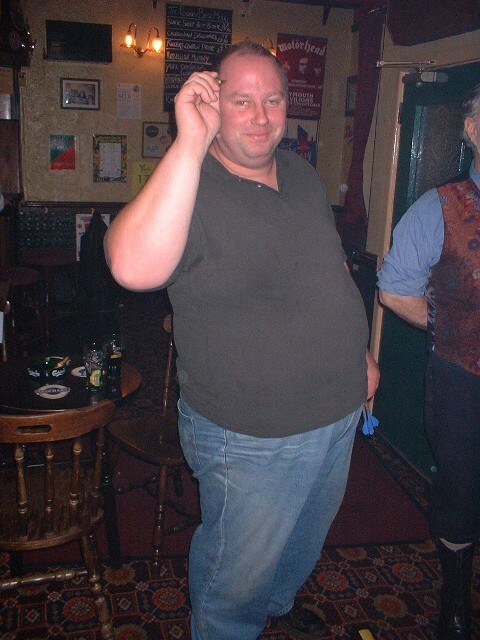 Had he been drinking???? 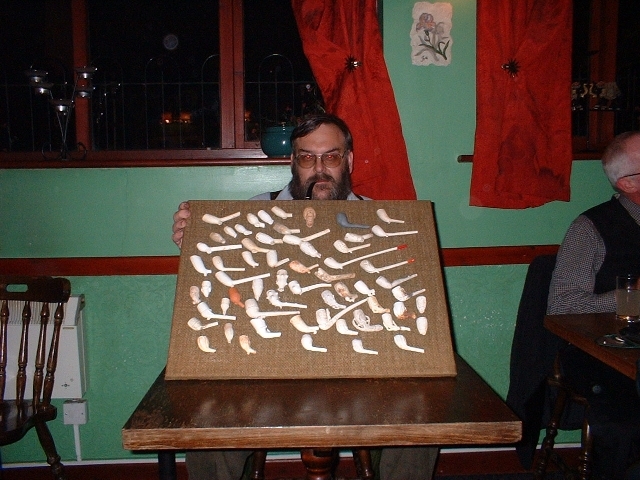 Colin Wylie looks on in disgust. Nina and Ian who did all the hard work to produce such an excellent meal. Keith shows off his new hat... all the way from Tunisia. Reg Walker has everyone's attention. 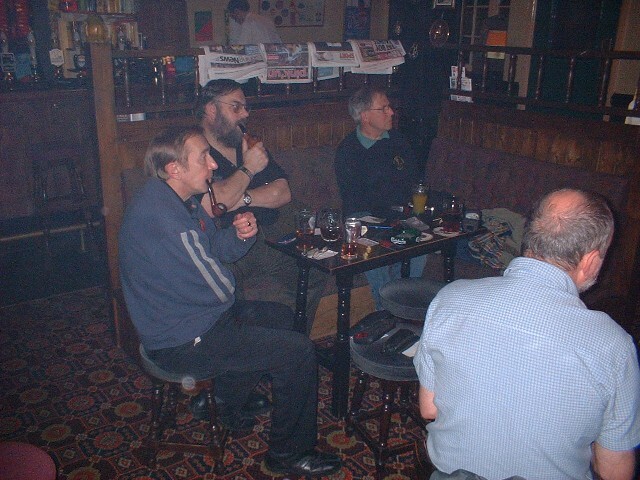 Reg wins a pipe in the raffle... again!